Obituary for Betty J. McCarty | Knight-Confer Funeral Home, Inc.
Betty J. McCarty, 90, of Williamsport, died Saturday, Sept. 1, 2018, at AristaCare at Loyalsock. Born Dec. 5, 1927, in Lock Haven, she was a daughter of the late Clyde and Martha Greninger Lloyd. Betty worked over 20 years for Bailey Controls and retired from there in 1995. She enjoyed round dancing, floral arranging and going for walks. Her children were the love of her life and she cherished her time with them. Surviving are her children, Richard L. Kissinger, Dale J. Kissinger Jr., Robin E. Kissinger and Terry L. Kissinger; a sister, Edna M. Hafer; and seven grandchildren. She was preceded in death by her husband, Donald C. McCarty; siblings, Ralph âBudã Lloyd, Dorothy J. Ulrich, Mary C. Miller and Alice I. Pletz; and a granddaughter, Wendy Kissinger. 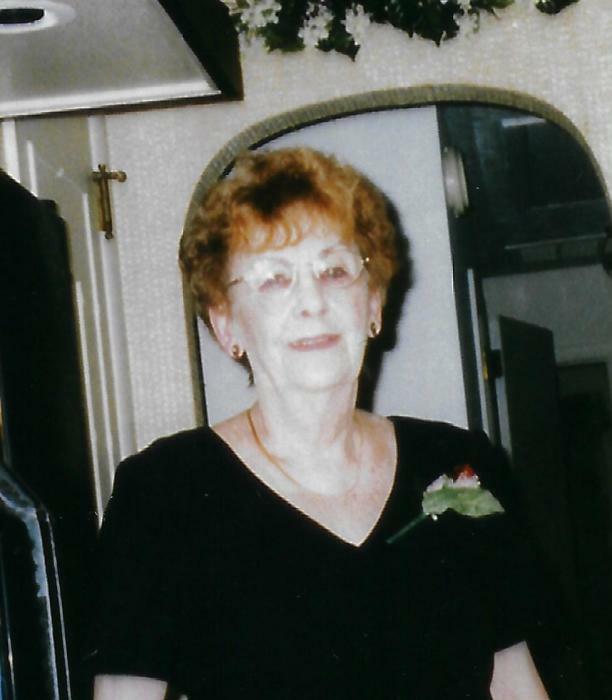 A graveside service to honor the life of Betty will be held Friday at 11 a.m. at Twin Hills Memorial Park, Muncy. In lieu of flowers, memorial contributions in Bettyás name may be made to the Alzheimerás Association, 270 Walker Dr. Suite 15, State College, PA 16801. Arrangements are entrusted to Knight-Confer Funeral Home.